Ever since I started releasing records of piano music back in 2007, it seems that every few months I get an email from a stranger, asking me if I have sheet music for my piano songs. Sometimes people even write to me assuming that the sheet music already exists, asking in regards to a particular song, “Where can I find the sheet music?” My response to all these requests has been always been the same . . . “Unfortunately the music is only written in my head and in my fingers, but I do hope that maybe one day I’ll be able to write some of it out and publish a book of sheet music.” And finally, ten years later, that day is here! 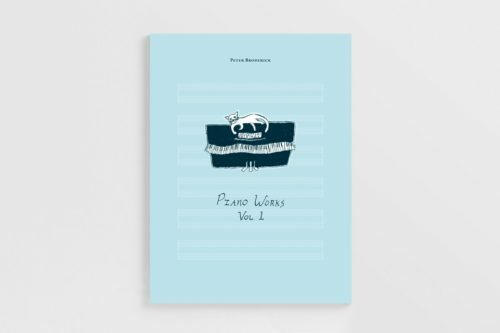 I am very proud to announce that Piano Works Vol. 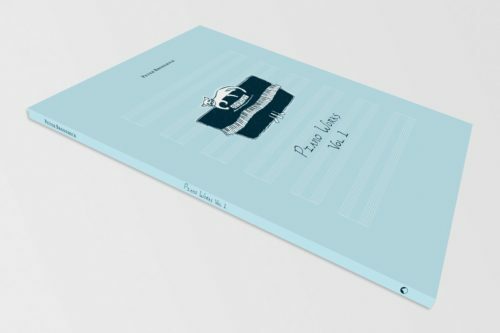 1, my first book of sheet music, will be available June 16th. Thanks to my dear friends at Erased Tapes and Music Sales for helping this come to fruition. The book collects 20 pieces from the last ten years, all of which have been released in some form, except the very last piece, which is a new one that I wrote while in residence at the Sirius Arts Centre last year. There is also a download included of brand new recordings of all 20 pieces (only available with the book! ), recorded by the wonderful Francesco Donadello at his Vox-Ton studio. Feel free to have a listen to ‘Sonata For The Sirius’ below, and you can order the book here. The illustration on the front cover was made by the amazing Brigid Mae Power, and the book design by Rutger Zuydervelt. This entry was posted on Friday, June 9th, 2017 at 10:44 am	and is filed under News. You can follow any responses to this entry through the RSS 2.0 feed. You can leave a response, or trackback from your own site.